Nov. 22, 2017 - Canadian Forest Industries Top 10 Under 40 contest is an annual tradition, drawing in nominations from coast-to-coast and recognizing young leaders in forestry. To individually acknowledge each winner and his or her contributions to the forest industry, CFI will feature each of our top 10 winners of 2017 over the next 10 weeks. This week, we introduce our readers to Maurice Theriault. Maurice is quality systems manager, Fornebu Lumber, Brunswick Mines, N.B. Maurice’s experience in the New Brunswick lumber industry spans 17 years and three sawmills. The 38-year-old got his first job as a labourer at JD Irving sawmill in St-Leonard. There he quickly rose in the ranks and was eventually promoted to relief supervisor. 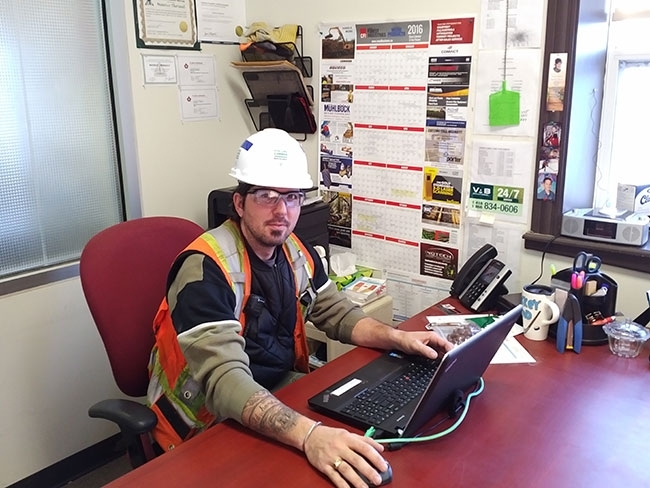 His next job was as quality system manager and process improvement with JD Irving sawmill in Deersdale where he worked for a few years before moving to Fornebu Lumber in 2011 to take on the role of production supervisor. In 2014, Maurice was promoted by Fornebu Lumber to quality system manager and process improvement. “Maurice is a forward thinker. He sees the big picture ahead. He has no problem in sharing is experiences (lessons learned),” Christian Fournier, safety co-ordinator for Fornebu Lumber, says. Fournier cites Maurice’s natural leadership, drive to continuously improve, and communication skills as the reasons he is highly respected within the Fornebu team. “Maurice has an approachable nature. He is always willing to help when needed and volunteers to help when we are under staffed. He is friendly, has a good sense of humour,” Fournier says. After a few years of quality and optimization improvement consulting for other mills in the area, Maurice recently accepted a new job as a solution expert in optimization for VAB Solutions out of Levis, Que. Next week we'll be spotlighting Daniel Main.